Mobile app publishers rely on a variety of strategies to generate revenue from their apps. We’ve looked at how the most popular freemium apps generate revenue to create this free-to-play monetization guide. Paid apps generated the majority of app revenue just a few years ago. But, free-to-play apps are becoming increasingly popular with both app publishers and users. They are free to download and use, making money from other sources such as in-app purchases. Because of the trends in mobile app monetization, you need to be confident in how you monetize your freemium apps. 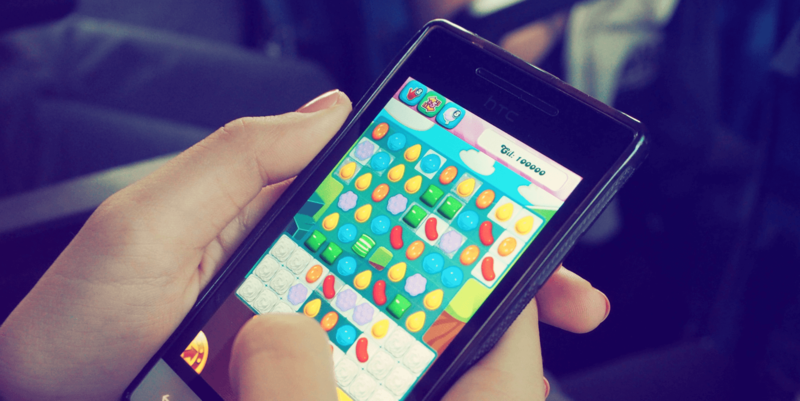 Sweet Pricing has looked at how the largest app publishers monetize their free-to-play apps, and we have collected our findings into this blog post. Of course, every app is different and some free-to-play monetization strategies might not be suitable for your app. But, we hope this guide serves as a useful reference as you look to monetize your app. Advertising is an extremely popular way to monetize mobile apps. In fact, 31% of app publishers say they are already using advertising to generate revenue (Statista). People now spend a large amount of their time using mobile devices, rather than laptop or desktop computers. In some regions, mobile is the commonest way to access the Internet, so mobile advertising and in-app advertising is an attractive proposition for many marketers. Many users expect the apps they use to be free, and they rarely spend money on paid apps or in-app purchases. In fact, if we look at in-app purchases, over 50% of revenue comes from less than 1% of users. Indirect revenue from advertising is therefore a fair compromise: the user can use your app for free, and you can generate revenue. In-app advertising has evolved quickly over the past few years. Rather than using the once-popular banner ads, you can now use many different interactive formats including video. Banner ads are the most popular in-app ad format. They should be placed at the top or bottom of the screen. Both images and text-based ads can be displayed in this format. Google AdMob is one of the most popular ad networks that serves banner ads. But they also feature a number of other formats, including interstitials, native ads, banner and video. On the other hand, implementation is often easier than other ad formats. And they can work well with apps in particular categories, so you might still consider using banner ads in your app. Interstitials are ads that display with the entire screen real-estate. They work best during transitionary phases in your app. That is, for example, when a gamer completes a level in your game. Users cannot ignore interstitials because they are full screen. That makes interstitials great for advertisers. Users prefer games that display ads between levels, rather than during gameplay, so interstitials can be better for user experience, too. Video ads reward users every time they watch an ad. Many games allow gamers to watch ads to gain virtual currency, so gamers can get access to exclusive paid-for content (without paying!) and the game publishers can protect their revenue. Video ads can be very profitable, but it’s important that the user experience does not suffer. If you force a user to watch an ad for 30 seconds, they might decide to uninstall your app. This is obviously not good for future revenue. If you have an in-app virtual currency, you should allow users to view video ads for free currency. The marketer pays you, the user watches the marketer’s ad for 15-30 seconds and you reward the user. Since this is voluntary on part of the user, you strike the right balance between revenue-right-now and long-term user retention. 16% of mobile app publishers are using in-app consumables as part of their free-to-play monetization strategy (Statista). In-app purchases will be the dominant source of revenue within the next few years, if current trends continue, so it’s important that you consider using them in your app. Publishers sell many different kinds of in-app content. For example, games often sell virtual currency that users can spend within the app. This virtual ‘gold’ is used to buy upgrades or enhance gameplay. Gamers can often obtain virtual currency through normal gameplay or by watching video ads, which means spending money is not necessary to enjoy the game. You can use in-app purchases to unlock premium functionality in your app, and even allow users to remove advertisements for a one-time fee. If you are using consumables to unlock functionality, you might consider using subscriptions instead. Most games use more than one virtual currency. For example, an app might sell ‘gold’ and ‘cash’. More than one virtual currency adds complexity, but it also adds dynamic to the game that can improve the experience. If you do use two virtual currencies, you should make one virtual currency available only as an in-app purchase. The other currency should be available via routine gameplay, in-app purchase or ‘currency conversion’. In other words, sell some content in ‘gold’ and some content in ‘cash’. If ‘gold’ is not available during routine gameplay, it allows you to offer exclusive content to paying gamers. 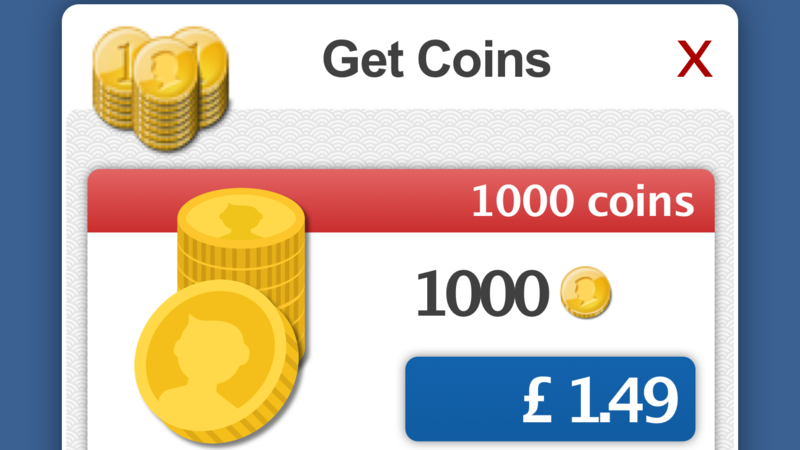 Games often sell virtual currency in bundles of varying sizes. The largest bundles are sold with heavy discounts, to encourage gamers to spend more in-app. Games offer discounts between 15% and 45%, depending on bundle size. We wrote last month about virtual currency bundle discounts. Check out that article to see the discounts some of the largest apps are applying. The effective discount applied by each app, after bundle sizes are normalized, is shown in the above chart. Subscriptions are a great way to generate revenue over a long period of time. Rather than users paying once to unlock features, they pay monthly (or annually) for as long as they want the extra functionality. Subscriptions can be extremely profitable, and you should consider using them over consumables where it makes sense. Subscriptions are not a suitable model for every app. 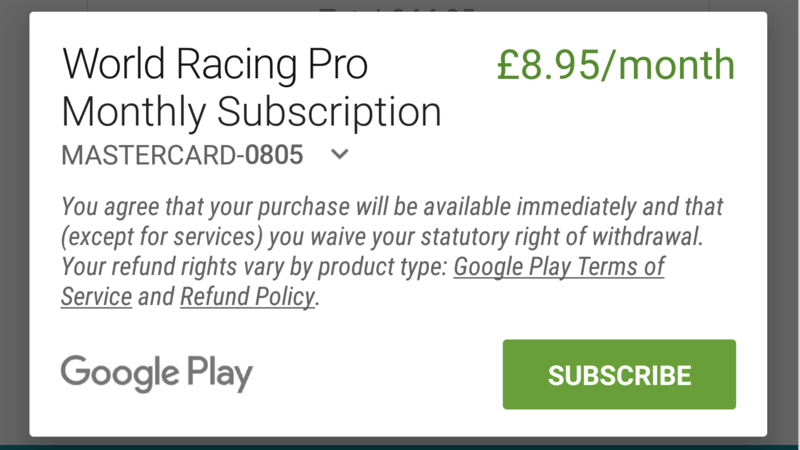 Subscription apps really need to deliver consistent value over time. Think utility apps that people use on a daily basis, or apps that give access to a library of content. Subscriptions are only available for certain categories of apps, according to the restrictions in the App Store Guidelines. Apple and Google are both keen to get users on subscriptions. The app markets take 30% of in-app purchases, but now offer better terms for subscriptions. Apple takes 30% for the first year, and then 15% for any subscription past the first year. In some way, this captures the acquisition costs that Apple faces. And it’s certainly better than the previous 70-30 split. Google, on the other hand, takes 15% for subscriptions of any duration. Compared to the revenue terms for in-app consumables, subscriptions seem like a favorable alternative. But, they might not be suitable for every app. You should provide a free trial of your premium offering, so users can ‘try before they buy’. You can offer 7-30 days free trial, which the user can cancel if they are not happy. Otherwise, the subscription will commence after the trial period and you will start generating revenue. If you don’t wish to offer a free trial, you should make sure that your premium functionality is available to free users in some limited way. If you have a messaging app, for example, you could consider limiting the number of active conversations at one time. The user tries out the functionality and can upgrade if they want unrestricted usage. Some users will choose to purchase your paid app initially. If you use in-app purchases, the user first needs to download your app, use it and only then purchase the upgrade. 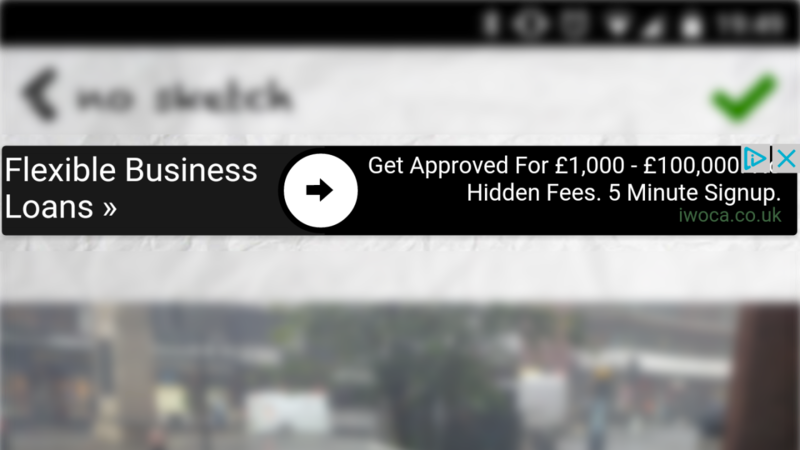 If the user knows what they want, they can simply buy the paid app straight away. Users can leave separate reviews in the app stores for your paid and free-to-play experiences. If the experiences are significantly different, this might help users decide to purchase. Apps used this monetization model occasionally a few years ago, but very few apps are now using it. The apps that do were generally released before in-app purchases became mainstream. It is wise to err against this particular monetization model, unless you have good reason to use it. For example, if you sell your app to schools or educational institutions, in-app purchases might not be available. But the organization could bulk buy your paid app, and you would benefit from this model. Unless you are in a situation like this, use the in-app consumable or in-app subscription model instead. What free-to-play monetization techniques are you currently using? Have you considered moving to a subscription model, in light of the recent App Store changes? What is your biggest problem when it comes to free-to-play monetization? Let us know in the comments below, or tweet us at @sweetpricing.